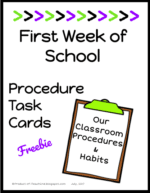 You are here: Home / All Freebies / Back to School JITTERS? Problem Solved. Are your students experiencing the Back to School JITTERS? As your students are headed back to school this Fall, they are concerned about who their teacher will be, which other students will be in their classroom, and what time is lunch period. All of this newness can be a little nerve wracking, and around here we call it the JITTERS! Solve this problem easily! This FREE activity will help ease the minds of your brand new students.. and it’s a lot of fun too. If you take a moment to reflect back on ANY of your own “first days”, doing just about anything, you know what the jitters feel like. Jitters are kind of cool because you’re excited, you’re curious, but at the same time, you are also a little scared. Yup! It’s the jitters. We want our kiddos to feel as comfortable as possible when they enter our classroom and officially become “ours.” Feeling like a part of a FAMILY always seems to help. I have always wanted my students to feel like our classroom is a type of HOME AWAY FROM HOME for them. It always helps if I can get my students on their feet, moving around a bit, and interacting with their new friends. This resource is highly engaging and my students have absolutely loved it over the years. Teachers get nervous too. Check out these tips for teachers for the first day of school. An activity that I have always been fond of is FIND A FRIEND BINGO! It is an extremely simple game to play and encourages students to interact with one another and get excited about returning back to school. 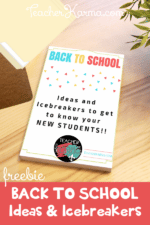 You can also try these ideas and icebreakers. 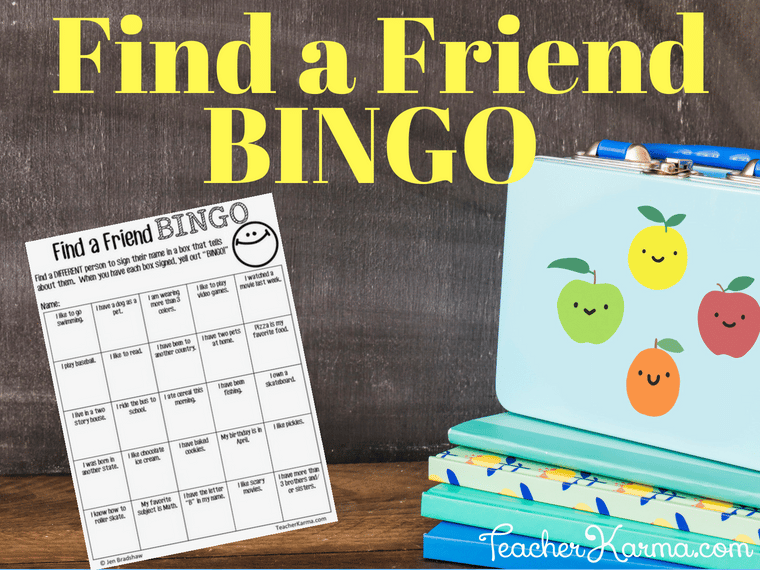 FIND A FRIEND BINGO is super easy to teach and play. You will need to make a copy of the BINGO sheet for each of your students. The rest is pretty much “no prep”. Before beginning, I make my expectations clear and remind students to walk and talk… not run and yell. How do you play Find A Friend BINGO? Your students will find a different person to sign their name in a box that tells about themselves. There are 25 squares to fill in with student names. So, what if you have less than 25 students in your classroom? Here is what you could do…. 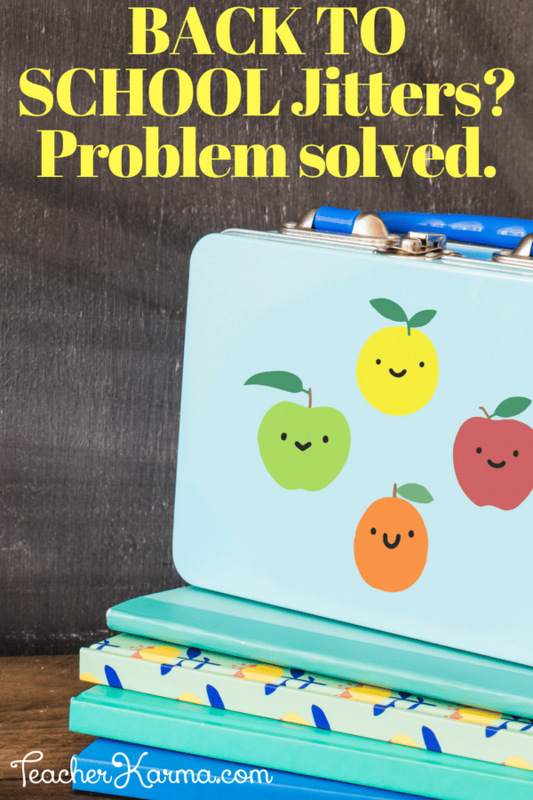 Click here to get your FREE Back to School Resource. I would love to hear how you encourage your students to feel more at home and less jittery on the first day of school? 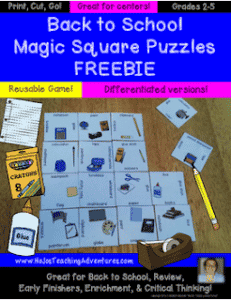 « FREE Place Value Dice Game To Make Math Fun!